Jeff and Amy Jo Akin are good friends who moved from Burlington to Louisville, Ky. ten years ago. Jeff is a leader in the Trane Corporation, but he is also a church planter. 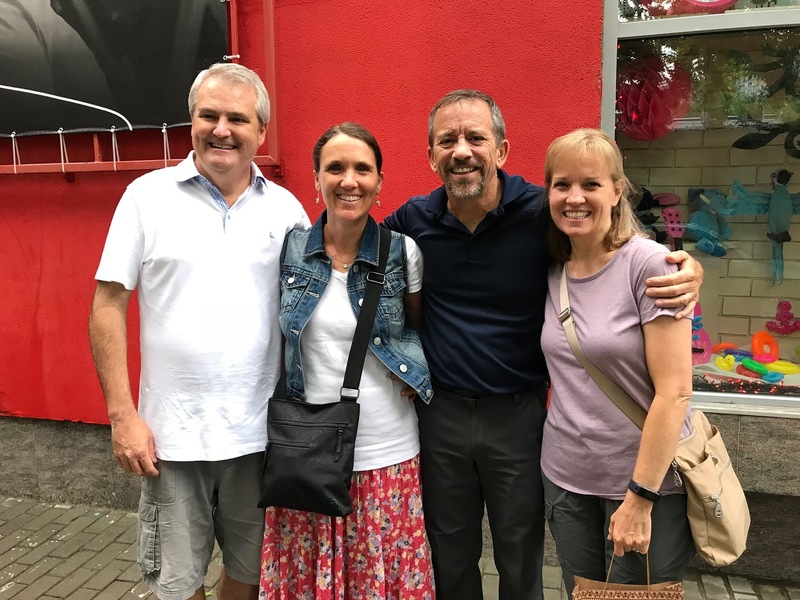 After leading a small church for several years, Jeff heard from the Southern Baptist Convention about their emphasis on church revitalization. The more he heard, the more excited he got about it. That led to a conversation with one of the men in the SBC who is leading the charge for church revitalization, and from him, Jeff got a contact name and number. The pastor that Jeff called wanted to meet immediately, and the two men spent several hours together. Dan was pastoring an aging congregation that in its heyday had 600 people coming through the doors, and now were down to 50. Jeff and Dan met together numerous times, and then got their leaders together to plan a merger. Jeff took his fifty people and joined with Dan and his fifty, the old with the young, and now they are one year into the new work. One elderly woman told Jeff not long after the new work began, “I’ve been praying for you for 20 years.” Jeff looked surprised, since this was the first time they had met. The dear saint explained that she had been praying for two decades that God would revive her church and breathe new life into it. How can a church give glory to God? God is glorified when a church believes and lives the truth of his word. He is glorified when a church does the work of transforming culture one person at a time, through the power that is only found in the Gospel of Jesus Christ. He is glorified when brothers and sisters dwell together in unity. He is glorified when churches “admonish the idle, encourage the fainthearted, help the weak, and (are) patient with all.” He is also glorified when churches that are dying humble themselves and welcome another church into the fellowship.